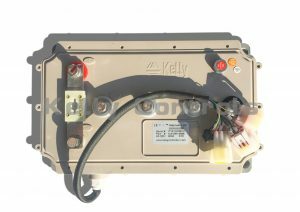 Kelly KLS programmable motor controllers provide efficient, smooth and quiet controls for electric motorcycles, golf carts and go-carts; as well as industrial motor control. 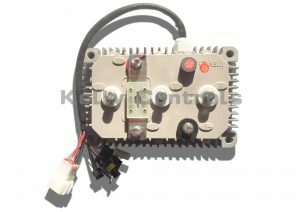 KLS controllers are mainly designed to solve noise problems of BLDC motor driving application. Compared to the traditional trapezoidal waveform control technology, this technique based on sinusoidal wave driving technology is to reduce the operation noise and 1/3 switching loss, which well meets the noise reduction and efficiency requirements in the application of DC brushless motors. It uses high power MOSFETs, SVPWM and FOC to achieve efficiencies of up to 99% in most cases. A powerful microprocessor brings in comprehensive and precise control to the controllers. It also allows users to adjust parameters, conduct tests, and obtain diagnostic information quickly and easily. KLS-M/N features surface mount MOSFETs on an aluminium PCB for superior heat dissipation. 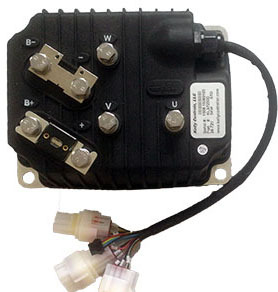 KLS-M/N is an IP66 rated waterproof controller by default. KLS-H features through hole MOSFETs mounted to aluminium heat sink strips. 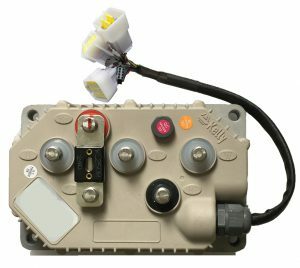 KLS-H is an IP66 rated waterproof controller by default. 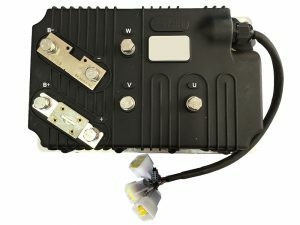 KLS-8080H features CAN bus and is IP54 rated by default. A 20 mm thickness Aluminium plate base is optionally available. KLS-D is currently being phased out. Other KLS models are recommended for new customers. KLS-8080I works with BLDC motors with hall sensors. 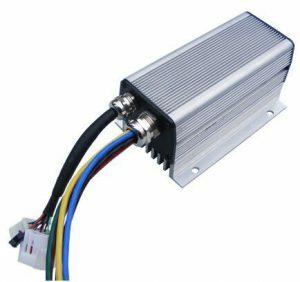 KLS-8080IPS can work with BLDC motors with sine/cosine speed sensors.